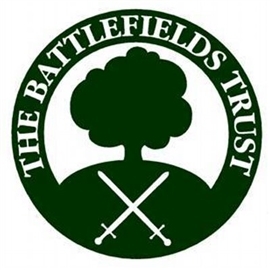 The Battlefields Trust is a charity. Our aim is to preserve, interpret and present battlefields as historical and educational resources. Over the last twenty years the Trust has fought against development on or around battlefields in the UK and overseas. It has installed information boards to improve presentation of nationally important battlefields to the public. In addition, the Trust has undertaken research to better understand battlefields and developed contacts with academics working in this area. We are working on a programme of major projects covering battlefield preservation, presentation, interpretation, and development for educational purposes. We are seeking to recruit for several positions. Most of these are unpaid, and are likely to be of interest to someone seeking to undertake charitable work as part of a portfolio career or as a retirement activity. Currently we can only offer work experience or a showcase for expertise. Of course, if we are successful in our funding bids we may be in a position to offer project work in various aspect of battlefield heritage management. We are looking for fund raisers willing to sell advertising space or our commercial services on a commission only basis or obtain local or national corporate sponsorship on a payment by results basis within the guidelines of the Institute of Fund-raising. We are planning three substantial battlefield projects covering the next few years. All of these will need volunteers to help to run the projects and promote them to communities. This is a project to extend the investigations started at Bosworth to cover other Wars of the Roses battles and sieges (upward of 15 sites). We plan to set up a Magna Carta Trail covering as many as possible of the dozens of sites associated with the battles and sieges of the C13th wars that led to the signing of Magna Carta and secured it within English government. The Centenary of the Great War is an opportunity to document, preserve and interpret the heritage of the world's first strategic aerial bombing campaign, the German air war against Britain 1915-18.